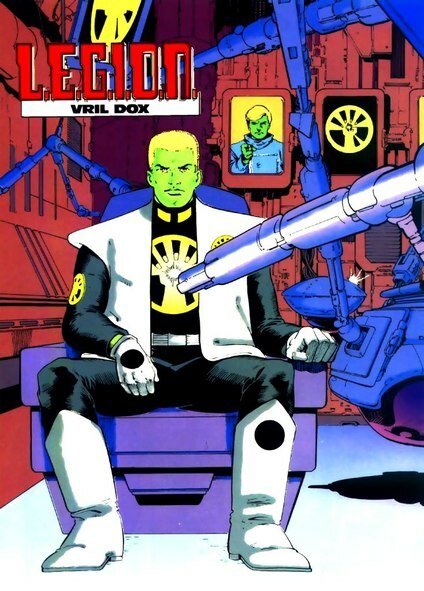 ​17 years ago - Vril Dox is targeted by the intergalactic bounty-hunter Lobo. He outsmarts him, and Lobo becomes a part-time member of L.E.G.I.O.N. ​Membership: 8-year-old Vril Dox, ​55-year-old Durlan, ​32-year-old Ti'julk Mr'asz, 19-year-old Stealth, 43-year-old Ferrin Colos, 23-year-old Strata, 32-year-old Garryn Bek, 24-year-old Lobo. ​16 years ago - ​Garv joins L.E.G.I.O.N., where he meets Strata. Membership: 9-year-old Vril Dox, ​56-year-old Durlan, ​33-year-old Ti'julk Mr'asz, 20-year-old Stealth, 44-year-old Ferrin Colos, 24-year-old Strata, 33-year-old Garryn Bek, 27-year-old Garv, ​25-year-old Lobo. ​​now - The 72-year-old Durlan is killed by Lady Styx's army. 25-year-old Vril Dox, ​36-year-old Stealth, 40-year-old Strata & 53-year-old Adam Blake join Adam Strange's Omega Men.